Nelson Pine Industries Ltd is one of the world’s largest single site producers of medium density fibreboard and laminated veneer lumber. In the production process of MDF the dried fibres are formed into mats and processed through presses. The heating of these presses is by oil. The oil itself is heated in a flue gas – oil heat exchanger. 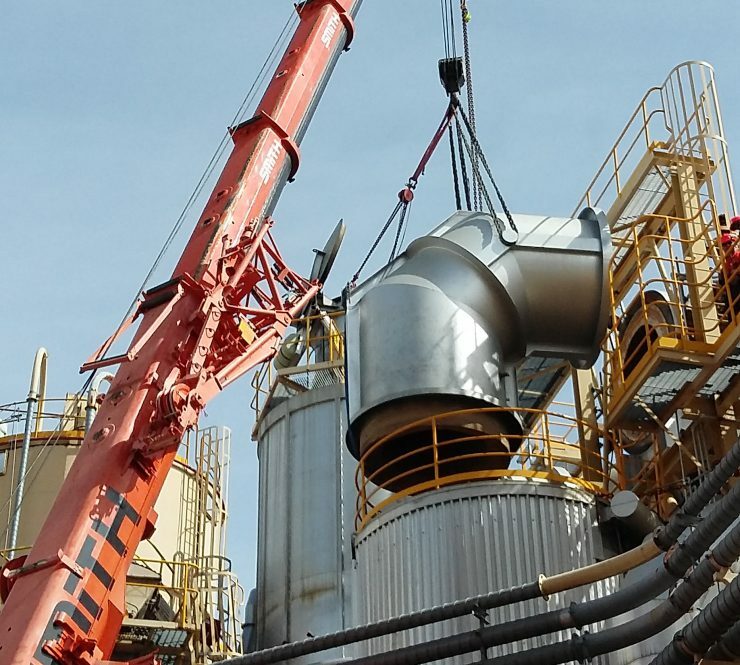 The Line 1 Heat Exchanger had come to the end of its life cycle and Nelson Pine Industries approached Brightwater to replace the existing tube Heat Exchanger for a Coil Heat Exchanger. The replacement of the Heat Exchanger for Line 1 had to take place over the Christmas period to reduce the down time on the MDF production line. The new Heat Exchanger was required to provide for an additional flow to the LVL. This meant the Heat Exchanger was up sized from 8.5 MW existing to 10.5 MW new. 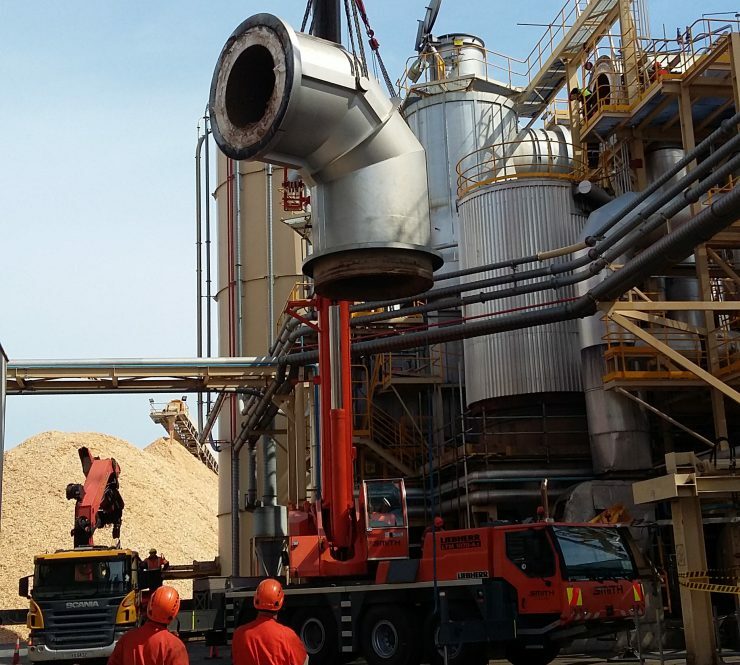 The operational weight of the new oil heater was significantly higher due to the increase in size as well as the additional volume of oil that is required for the 10.5 MW output. The new heater was installed in three pieces. For these lifts the Brightwater on site team used a 250 tonne crawler crane. 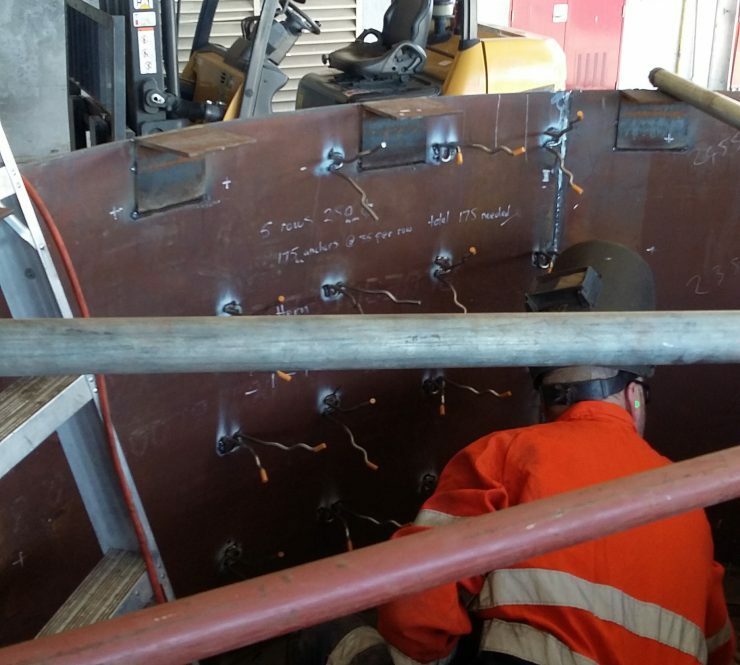 The bottom piece was installed on a temporary support structure followed by the two remaining pieces before the final installation into the modified support structure.